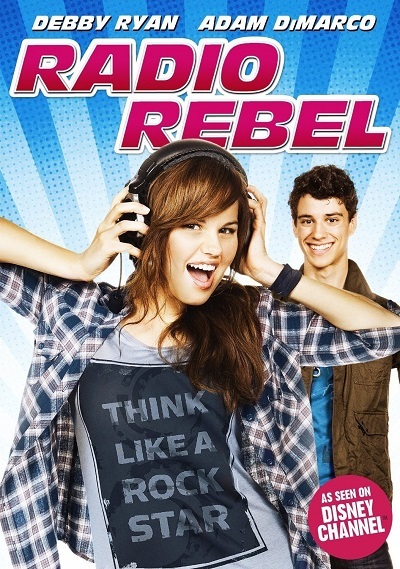 High schooler Tara, a girl so painfully shy that she can't even write a single letter on the board in front of a class, has an awesome secret - she is "Radio Rebel". When Tara puts on that headset in her room and does her daily podcast, she becomes a confident, outspoken, inspiring, anonymous voice on the airwaves. When her stepfather, the owner/producer guy at SLAM radio, finds out that Tara is Radio Rebel, Tara gets to move from her bedroom to a sound studio to do live shows for SLAM. Everything is the perfect amount of chaos until Principal Moreno, whose only goal in life seems to be to destroy others, cancels Prom and all the students blame Rebel.